SOURCE: Geoff Lung, courtesy of Tourism Australia, the tourism promotion authority of the government of Australia, used with permission. 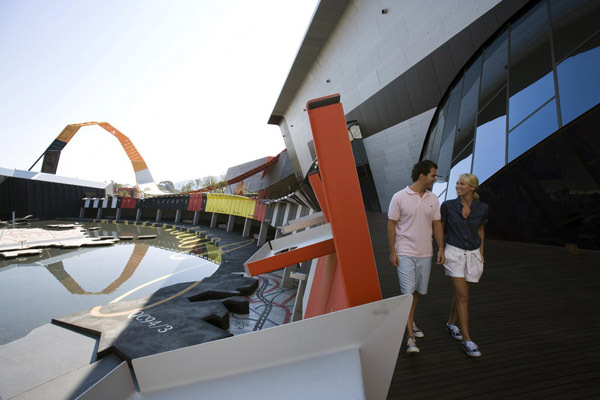 The National Museum of Australia profiles 50,000 years of Indigenous heritage, settlement since 1788 and key events in Australian history, including Federation and the Sydney 2000 Olympics. It contains the world's largest collection of Aboriginal bark paintings and stone tools, the heart of champion racehorse Phar Lap and the Holden prototype no.1 car.